Welcome to your Gulf Islands cruising mecca. Punta Gorda Isles is perched directly on Charlotte Harbor, a pristine 270 square mile 5-star platinum estuary. Sheltered by a chain of barrier islands known as the Pine Island Sound; Sanibel-Captiva, Boca Grande, Cabbage Key and Useppa Island, these islands dot the inter-coastal waterway that allow cruising from New Jersey to Texas. You will pinch yourself, living here is like the movie, “The Blue Lagoon”. Cruise to Caya Costa State Park with nine miles of beautiful beaches – paradise is at your dock. Touted as one of the treasured areas for fishing in the world, your life here sometimes blurs the line between living and vacationing. A day into your Charlotte harbor life includes being mesmerized by flocks of pastel pink roseate spoonbills, delighting in pods of dolphin all in the backdrop of our Punta Gorda town gem…. wrapped in numerous metallic ribbons of foodie destinations and decorated with an eco-system that is second to none. Where the nautical vibe has a storybook edge, you live a moment to downtown Punta Gorda and west of highway 41. Inside a bubble of leisure fun, the hustle and bustle an easy car ride away. The Isles is perfectly situated just 30 minutes from Southwest Florida International Airport and five minutes from the Punta Gorda Airport where Allegiant Airlines offers affordable non-stop flights to 43 cities weekly through out the US. It is no wonder that people travel from all over the globe to live in Punta Gorda, where life on the water is a daily adventure. we found your happy place ~ fish. cruise. live. play. The Isles comprise sister communities, Punta Gorda Isles and Burnt Store Isles, a unique boating and golfing development located within the city limits of the quaint harbor front town of Punta Gorda. Ranked in the nation among the top 10 sailing and yachting destinations makes for a life like no other. After a day on the water enjoy the array of activities, dining options and amenities the Isles has to offer, such as artisan shops at Fisherman’s Village, the Isles Yacht Club and two 18-hole golf courses, St. Andrews South and Twin Isles Golf Club. Below are a few fun facts. There are 817 total home-sites remaining in PGI, 283 in BSI; this includes single-family and multi-family lots. The annual canal maintenance per home-site expense is $650 per year collected and payable annually in your property taxes. Burnt Store Isles…..where world class cruising meets five-star resort living. The Charlotte Harbor way of life offers spectacular waterfront views, high-touch finishes, coastal design, and community amenities that fit your sporty lifestyle. Located west of highway 41 with two entrances to the community, Monaco Drive and Madrid Drive. Burnt Store Isles is a sailboat community with no bridges to the harbor. Here are the fun facts. The Burnt Store Isles Canal Maintenance District is responsible for the maintenance of 18 miles of seawall, dredging 9 miles of canals, and mangrove trimming-alteration within the district canal system. Burnt Store Isles offers sailboat access to Charlotte Harbor via Alligator Creek. Streets lined with royal palms and a newer community feel since it was at the tail end of the development. Canals widths in BSI are wider in many cases than PGI. Navigation Channel Access is via Alligator Creek, a magical very wide river. BSI has a voluntary home owners BSIBA association and boating club. For a nominal yearly fee, the association offers boating and social clubs. 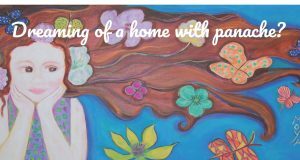 dreaming of a home with panache? Savor living in a brand-new coastal home with current, sustainable touches. The Isles is a distinct community with their own architectural styles, amenities, and friendly atmosphere. There is a wide selection of gulf access lots where you can choose from numerous builders’ model centers and build your dream home. Motor yachts, flats boats, express cruisers and sail boats dot the back-yard landscape. 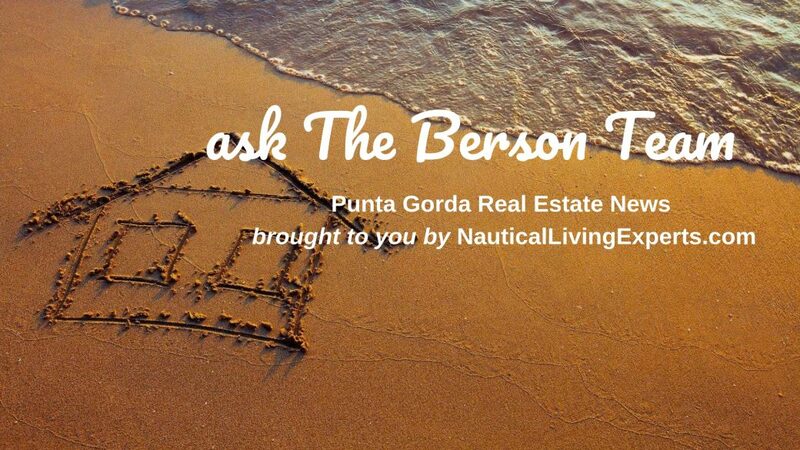 In keeping with the relaxed, unburdened nature of life here in Punta Gorda, the Berson Team makes the prospect of purchasing an existing home or building a new home in the Isles an enjoyable and easy experience. Punta Gorda may be the most diverse marina resort neighborhood in the nation. We’re here to help if you’re just in the dreaming stage, or if you’re ready to get serious and find that perfect luxury home. Water views, extra wide canal basins, harbor front and home sites on the rim where one can watch the boat traffic also add increased value. paradise for boaters. sailors. fisherman. nature lovers. The super cool factor about living in the Isles is you are surrounded by nautical energy. Found within one of the world’s top sailing destinations, the reliable trade winds, pristine harbor and irresistible charm of the surrounding Punta Gorda town undoubtedly make the Isles the most desirable destination for those looking to sojourn in paradise and create a home that can be loved for generations. The gulf islands a.k.a. the mini-Bahamas are out your back door. From your Isles home base, you can cruise the Pine Island Sound and catch a tarpon, lunch at Useppa Island Club, take a beach stroll at South Seas Plantation, and hear the band and enjoy cocktails at Tween Waters or Cabbage Key. Complete your sun-kissed day at Caya Costa State Park for a barefoot sunset walk or a private picnic dinner on the beach. The array of destinations, fishing meccas and gunk-holing opportunities are endless. Canal Depths: Minimum 6 feet in depth at mean low tide; maintained by City of Punta Gorda. Dredging: The City is permitted through the Florida Department of Environmental Protection to maintain water depths in the navigable channel of PGI and BSI canals. However, property owners are responsible for any dock side dredging. Boaters are encouraged to call Public Works if concerned that the canals have silted in. PGI: Maximum recommended draft in sailboat section is approximately 5 feet mean tide. PGI: The bridges in PGI are 13 feet mean tide clearance. BSI the canal system is approximately 8 feet – 10 feet in depth with an ideal maximum boat draft of 3.5 feet mean tide. PGI: The original Sailboat neighborhood of the Isles is the quickest access to the open harbor. PGI: The Almar Drive – Alligator Creek access is located at the southerly end of section 14 almost at the dead end of Almar Drive; small vessels that draw less than 18 inches can access the Harbor via a small creek that leads to Alligator Creek. BSI: Access to Alligator Creek and Charlotte Harbor is via a vacated lock which is approximately 17 feet in width which can accommodate up to a maximum 15 feet beam. @Buckley Pass Update: September 2018, the Punta Gorda City Council approved an internal loan this week that will allow city staff to move forward with the land purchase agreement of the Bird Cut aka Buckley’s Pass property to build the 1,446-foot-long, 60-foot-wide channel. The name “Bird Cut” derived from the fact that the streets in the neighborhood near the proposed pass are named after birds. The word “cut” refers to the additional harbor access where the channel is to build. The existing mixed wetland and upland area connects the Punta Gorda Isles canal system to Alligator Creek and leading to Charlotte Harbor. The property involved includes 4.24 acres of wetland and removal of 0.38 acres of mangroves. Single family residential lots may have freestanding concrete docks protruding no more than ten (10) feet water ward of the seawall, the number of boat lifts and out pilings are determined by the length of seawall and the width of canal. All structures must be placed within an area defined by projected lines extending water ward at a 45-degree angle from the property’s seawall at the side property lines. Fifty (50) feet of navigable channels must be maintained, except in Burnt Store Isles when only one side of the waterway is sea walled (typical perimeter canal), a passageway of forty (40) feet is required to be maintained. To obtain information on construction within the canal, contact the Building Division at (941) 575-3324. For questions concerning waterway code compliance, please call (941) 575-3352. Punta Gorda Isles and Burnt Store Isles is comprised of 5 neighborhoods, none that are readily identified by signage, although each having their own criteria of boating time to the harbor and size of craft. The neighborhoods with the quickest out to the harbor were developed first…so the “original sailboat area” has the oldest homes, but many of these older properties are being razed due to this sought-after location. All highlight our boating and golfing life style. PGI: Original Sailboat Area: The houses that are North of Marion Avenue, this area begins at Jamaica Way on Marion Ave and is all the homes North of Marion. Advantages to this area is that you access the harbor directly, the eastern winds are prevailing, this area is one of the most sought-after areas due to its quick boat ride out directly to the harbor and this area has the deepest canal system. Originally developed in the early 60’s…many properties have been bulldozed down and new impressive homes rebuilt. PGI: Powerboat Area Outlined in Red: This area is located south of Marion Avenue and W. Henry Street, East of Coronado, North of Aqui-Esta and West of Magdalena Drive. This is called the power boat section because there are two bridges that access Charlotte Harbor that are 13 feet mean tide clearance. PGI: Section 12: This area is a very prestigious area that is designed around the St. Andrews South golf course and has relatively quick access via the Ponce De Leon navigational channel. It encompasses the residences that are off Deborah Drive and West of Bal Harbor Blvd. PGI: Bird Section aka as Section 14: Named after the sea birds of the Peace river and the surrounding Charlotte Harbor magic, this was the last area to be developed in the Isles since it is the longest distance out by boat. But due to the proposed Buckley’s Pass Cut, this area’s distance to the harbor will be greatly reduced. BSI, section 15, there are two entrances from U.S. Highway 41, Monaco Drive and Madrid Blvd. PGI was developed and platted from the 1950’s through the mid 1970’s. PGI the “Bird Section” aka section 14 of PGI began construction in 1980 – Sailboat water. no bridges, because of its longer distance out to the harbor; it was last to be developed so the neighborhood has much newer complexion of homes. Be in the know about Buckley’s Pass in the Marina particulars of the Isles which will be a huge advantage to this section. PGI In May 1983, PGI was beginning to fill in, and the Ponce de Leon channel was open, drastically shortening the trip to the harbor for many residents. BSI, section 15, canals were dredged and infrastructure was developed 1979-1980. PGI, Inc. moved the sales and model homes to B.S.I. There are two entrances of U.S. Highway 41 between Monaco Drive and Madrid Blvd. 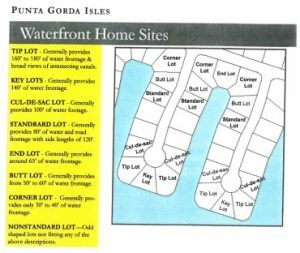 Punta Gorda Isles was established as a “Deed Restricted Community” when it was opened for sales, which protects your property value however, there are no guard gates which mean there are no annual CDD fees; Community Development District. Under Florida law deed restrictions expire 30 years after initial sale unless renewed by the controlling body, currently the Punta Gorda Isles Civic Association. In 1995 the decision was made NOT to renew the deed restrictions but to work with the City in incorporate unique community standards in the City Code. As a result of this decision Punta Gorda Isles is in a “Special Overlay District” that contains special land use regulations to preserve the original values of the Isles in addition to the general city code. This is a much stronger standard since these codes are enforced by the City and include provisions for the former deed restrictions which have expired in many portions of the Isles. Your Association continues to actively work with City Staff and Leadership to maintain our quality of life and to ensure standards are maintained. Every year (typically in the winter months when the tides are low), the City performs an assessment of the seawall infrastructure. City employees motor up and down every canal and inventory the condition of the seawalls and caps. The evaluations are collected by computer utilizing Geographical Information System (GIS) and associated software and then the data is downloaded onto a mapping system. This data is used to help prioritize seawall and cap replacements, forecast work programs, track potential failures, and inventory the replacement of the infrastructure. Tip Lot: Generally, at the end of the street with approximately 160 ft. – 180 ft. of water frontage and broad views of intersecting canals. Key Lot: Generally, provides 140 ft. of water frontage (upside down triangle). End Lot: Generally, provides approximately 65” of water frontage and views down the center of canal. Modern, waterfront living with fabulous amenities – from great golf courses to pristine parks to the Isles Yacht Club. 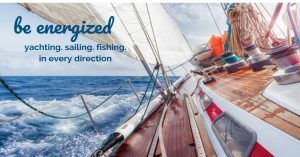 Retreat to a world-renown resort and boating community where Charlotte Harbor and the Gulf of Mexico connect and outdoor passions flourish. So, drop a line in the am, and play a round of golf or pickle-ball in the afternoon. PGI & BSI Clubs: The Isles clubs will be hubs of activity for members and their families. At the heart of their neighborhoods, the clubs will be the place where you go for your morning workout, catch a game of tennis or an afternoon massage. The ISLES Yacht Club A new facility was built in 2007 and is located at the corner of West Marion Avenue and Jamaica Way. 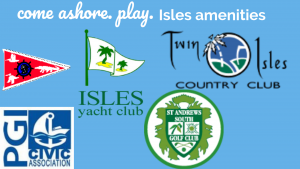 The Isles Yacht Club vision is to be recognized as the premier yacht club in Southwest Florida providing a friendly private club experience with a broad range of quality activities for boaters and non-boaters. The Punta Gorda Isles Civic Association, a new facility built in 2006 is a voluntary home owners association and club. For a nominal yearly fee, the center offers boating, fishing, tennis and social clubs. Hundreds of volunteers work to improve, protect, and lead our beautiful community in a continuous endeavor to enrich the lives of all residents. Serving the Community for Over 50 Years. St. Andrews South Golf Club Imagine a private golf club in your own backyard. 18 holes of Championship golf, a classic clubhouse overlooking the golf course, fully stocked pro-shop, complete practice facilities, league play, and many special social events. All conveniently located in the heart of Punta Gorda Isles. Burnt Store Isles Boat and Fishing Club The Club promotes furthering our boating and marine education, safe boating, supporting our law enforcement agencies, protecting our marine education, safe boating, supporting our law enforcement agencies, protecting our marine environment and enjoying good fellowship and among our boating and non-boating members. Many social events are planned throughout the yearand held at Twin Isles Country Club. 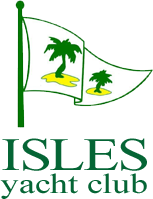 Twin Isles Country Club is a private Club, located 5 minutes south of the historical district of Punta Gorda, Florida in the heart of the Burnt Store Isles resort community. Since 1985 our members enjoy private amenities enhanced by superior service provided by a dedicated and professional staff. Twin Isles’ golf course, tennis complex and spacious Clubhouse create a comfortable atmosphere that makes new members feel welcome and at home – we invite you to our special place in Punta Gorda. The impressive “Twin Isles Golf Course” in BSI has had a major reconstruction of the Course and Club House. Amenities offered include Tennis, Social and Golfing memberships. Where you can drop your anchor. Living here is all about creating a sense of place for our residents, our neighbors, and the Isles community. You are also located a few minutes from downtown Punta Gorda and a stone’s throw from Fisherman’s Village boutique shopping and Ponce de Leon Park. So, stay out late, or wake up early, the surrounding neighborhoods have it all, no matter when you hit your stride. Like Art? Cool, there are several galleries to keep up with. Are you living that yogi life? Pick your favorite spot to get centered. Foodie? Punta Gorda’s best dining scene is at your fingertips. Into historic homes? You’ll love a stroll around Gilchrist Park. We told ya there was something for everyone. 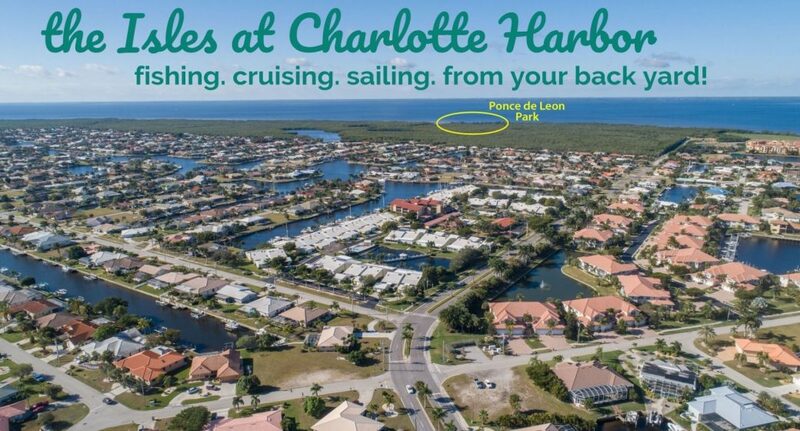 You are in the prime location for living “The Punta Gorda life in Motion, Nautical Connection without Congestion”.